Every time we sit down to watch a horror movie it requires us to suspend our belief. I would hope any logical person could realize that humans don’t rise from the grave to enact revenge or that demons from hell don’t lie and trick their way into our world to murder and violate us. The problem with enjoying many movies; is a logical mind that knows that what we are watching is a work of fiction. Despite this, these movies (by definition) should instil horror in us. Writers and directors go to great lengths to try every trick in the book to accomplish this, so their techniques over the last hundred years of film have amassed into a giant book of clichés. The one method that has always fascinated me the most is when you see these words flash before your eyes in a trailer or on a poster: Based on a True Story or Inspired by True Events. It’s a genius method really. What is more horrific than the truth? I am always giving me and my fellow horror-hounds the benefit of the doubt. While blood and guts may entertain us in film, true acts of violence are repulsive, shocking, and distributing. Telling us that what we are watching was based on a true story conjures images of how horrible it must have been for the people we are watching. We are no longer looking at actors playing roles, rather we feel are witnessing history told to us through film. It allows us to logically fear the maniac killers or perhaps open our minds to the paranormal. The one question I always have is… just how much of this is real? How much of what I am watching was supposed to have happened and how much of it was spiced up for film? Well, I’m going to put on my investigators hat and shed a little light on the truth behind these true stories in regards to three select films. 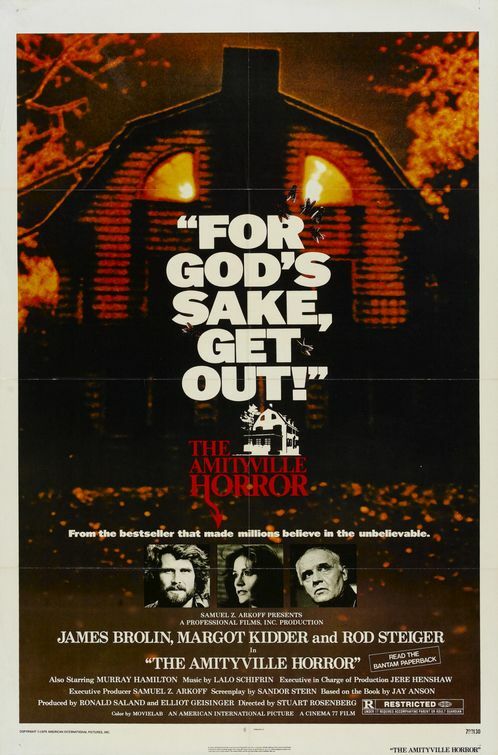 First up, let’s tackle the Amityville Horror. The film was released in 1979 and, while the forefront of the movie was never the advertising campaign that it was real, the novel that the film was based on basically depended on this gimmick. The story surrounds the Lutz family who claims they had bought a house on 112 Oceans Ave in Amityville a year after a brutal mass murder had occurred. It isn’t long before the family begins to experience paranormal activity from some dark entities. It also carries with it the slow mental breakdown of James Bolin’s character as the dark presence of the house starts to creep into his psyche. It’s implied that this could have been the cause of the murders that happened a year earlier. There is also a famous role given to Rod Steiger as the priest who attempts to get the so-called demons out of the house. For his efforts, he suffers boils and a barrage of flies. The film itself is decent (I found it pretty slow in parts) and had a string of sequels. In 2005 it was even remade starring Ryan Reynolds. So after all of that (demons, poltergeists possession and the biblical plagues set forth on an unsuspecting couple), just how much of it was real? Well first let’s discuss the mass murder that occurred in Amityville. These murders unfortunately are true. In the 1970’s the house at 112 Oceans Ave became the scene of a bloody and shocking murder. The Defero family were killed in their sleep by Ronald “Butch” Defero Jr, the eldest son. In the night around 2 AM, he systematically shot his father, mother, two brothers and two sisters. After cleaning himself up and getting rid of the evidence, he hatched a long plan about how he was going to pin the murders on the mafia and play the role of the lucky sole survivor. His plan might have worked had he not foolishly left the boxes for the guns he used to kill his family in his room. A year later his case went to trial and he attempted to get off as legally insane and unfit to stand trial. That plan also thankfully failed and he is currently serving 25 years to life on six counts of second degree murder. Now since the murders did occur, we can move on to the matter of the Lutz family and the supposed haunting of the house. Well it is true that the George and Kathy Lutz purchased the house and they did claim that there were demons there. It’s largely considered to be a hoax which I’ll explain. It all started shortly after the Lutz family “fled” the house after only a month of living there. They claimed that the evil goings-on were just too much for them to handle. George Lutz made a call to Dr. Kaplan who was a well known and respected parapsychologist and claimed that demons had terrorized them until forcing them to leave although he couldn’t describe exactly what happened. He also claimed that he had only just started researching the paranormal but Dr. Kaplan quickly started poking holes in his stories that basically revealed that Lutz had been researching this long before he even moved into the house and had mixed and matched behaviours of demons, poltergeists and all sorts of things. Dr. Kaplan determined that all of these symptoms of a haunting were far too vast and that logically one house couldn’t possible hold that many demons and spirits. After the book was released and became a best seller, the rights to making the film were sold and then interest in that true story of the Amityville horror really started to take off. The more questions people asked, the more inconsistencies were found. For example, the role of the priest was only legitimate in a way. For what it’s worth, it is true that a priest whose name was Father Pecoraro did have contact with the family. That being said, he first claimed that he never even visited the house and only talked to the Lutz family by phone. Later on he said that he has gone there but nothing unusual happened. One of his last interviews he did revealed that he did at least bless the house and then left. No boils, no flies, nothing. So who knows really what happened there. The final nail in the coffin was the new owners of the house Jim and Barbara Cromarty. The couple claimed that they had lived in the house with not a single suspicious thing happening. In an amusing turn of events, they sued the Lutz family because of the constant parade of tourists that would come to the house. The courts ruled in their favour and the judge had even stated that the Lutz family had concocted the whole story for the purpose of selling a novel. Next up we’re going with a more recent film, The Haunting in Connecticut. The film was released in 2009 and was based upon the so-called true events of a family named the Campbells in the 1980’s. The events happen while they are living in an old funeral home that was refurbished into a house. The family moves out there because their eldest son is sick with cancer and the hospital to get his treatment done is simply closer to this house as oppose to their one in the city. When they move into the house, subtle paranormal events start to take place. They mostly affect the eldest son, Matt, who opts to live in the basement which turns out was the mortuary. He has disturbing visions that become more and more frequent. Everyone, of course, believes he is being affected by his cancer treatment but with this help of Reverend Popescu, he uncovers that the funeral home was used to hold séances. A particularly powerful child medium named Jonah had his powers enhanced by the bodies of the recently dead, so bodies were stolen and mutilated by the man who ran the funeral home. In one instance, the spirits that enveloped the house killed Jonah and his mad doctor along with all of their guests. The movie ends with the discovery that the walls of the funeral home are filled with mummified bodies and Matt has to burn the place down to free them all. Doing this also miraculously cures Matt’s cancer. But how much of this story is actually real? The family in question wasn’t the Campbells, they were the Snedekers. They really did move to the house in 1986 to be closer to the UCONN hospital where their son’s special treatments were occurring. The house was, in fact, a funeral home before it was turned into a house. The funeral home in question was the Hallahan Funeral Home. It operated for decades in the area before it was bought in the 1980’s. In the film, the family discovers numerous death photos that were taken along with the severed eyelids of many of the bodies but in real life there were only a few death photos that were found, no eyelids though. Apparently the mother also found numerous toe-tags and even a head-tag. In the film there are numerous paranormal activaties that occur. According to the family, there actually was an incident where the mother was mopping the floor and the water turned blood red. Another incident that they claim was true were the dishes putting themselves away. The most fantastic of all was the shower scene. In the movie the niece, played by Amanda Crew, gets suffocated by a shower curtain. The family claims that this did happen although it happened to the mother and not the niece. The biggest discrepancies are the existence of Jonah, the bodies in the walls, and the climax where Matt burns the house to the ground. None of these things occurred in real life. All were created to explain the haunting and to add more excitement to the film. The family does say, however, that Matt did become darker and more distant like the film portrays. One of the happier portions that are true is that Matt’s cancer was cured although it probably had more to do with his treatment than spirits. Of course when I say these things are “true,” I mean to say that the family claims they are true. I would like to point out that they did publish a book titled “In a Dark Place: The Story of a True Haunting.” So much like the Amityville horror, there is a lot of controversy surrounding this one but, unlike Amityville, this one isn’t totally debunked yet. Lastly, we are going to go a little further back and hit up one of the stranger inclusions in the list of “true story” horror: The Texas Chainsaw Massacre. 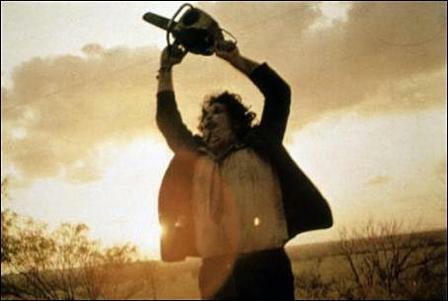 Texas Chainsaw Massacre was released in 1974 and is one of those heavy hitter films that horror fans love. It has had ridiculous sequels and terrible remakes, but it was one of the first slasher films. In fact, it just missed the number one spot by a few months (Black Christmas is the first true slasher film from a technical standpoint). However, it did give us the iconic slasher character of Leatherface, the semi-retarded member of a psycho family of hillbillies that murder, torture and terrorize a group of teenagers. Honestly, there isn’t much I can say about this film that hasn’t been said a million times. I really am only including it because it fits the subject at hand. It really is one of those films that I find hard to watch even as a fan of the genre. I’ve never been totally in to the kind of things that this movie has because it already seems possible enough to me. When I kept hearing that it was inspired by true events, I went nuts. I just had to know what part of this could be real. Well, not much is real about it actually. The crazy family and all of the events in the film are works of fiction. So why do they say it’s a true story? Well that is the tricky part they don’t say true story they say the ugly step-son of true story; “Inspired by true events”. For all intents and purposes, the character of Leatherface was based on the serial killer Ed Gein who had murdered and mutilated his victims not unlike Leatherface, skinning them and using their body parts to decorate his home. The Texas Chainsaw Massacre wouldn’t be the only film to use Ed Gein as a reference; Buffalo Bill from Silence of the Lambs was based on him aswell as Norman Bates from Psycho. So there you have it. Although there are usually some elements of truth behind these so called true stories, the most fantastic elements are fiction for the sake of the audience. Even things that do occur or claimed to be real are debatable. Thanks for taking this little journey with me, see you next time! 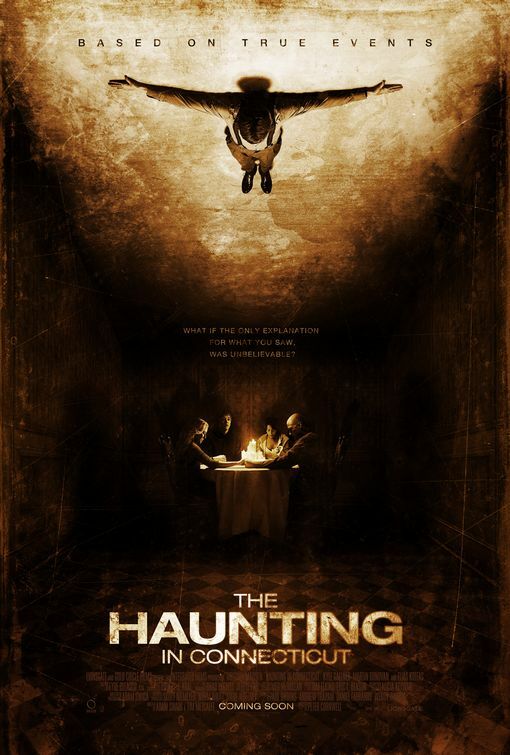 This entry was posted on June 7, 2011 at 11:54 pm and is filed under Horror History, Horror Showcase, Updates with tags Amityville Horror, horror, Horror History, horror movie, horror movies, movie review, Real, splatterpictures, Texas Chainsaw Massacre, The Haunting In Connecticut, True Events, True Story. You can follow any responses to this entry through the RSS 2.0 feed. You can leave a response, or trackback from your own site.